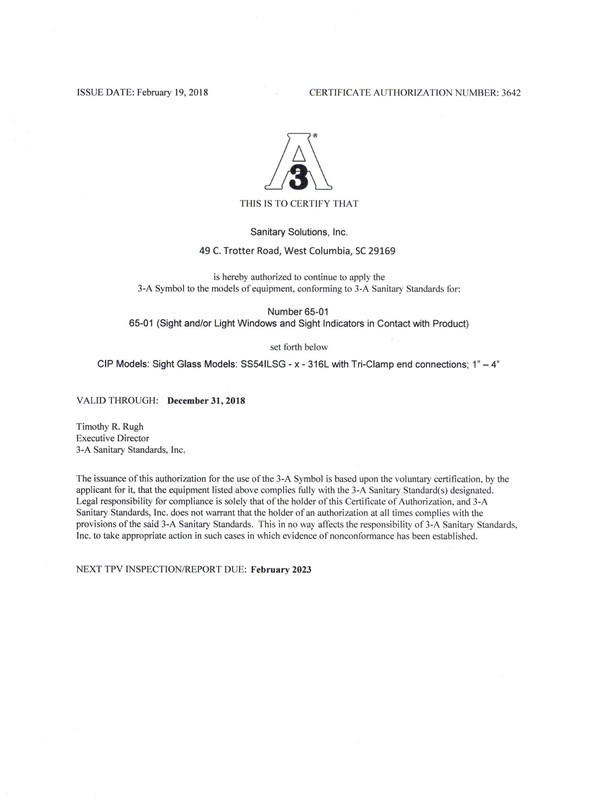 The team, at Sanitary Solutions, Inc. is pleased to announce that we have received 3-A certifications for 33-03 Metal Tubing, 42-02 In-Line strainers, 51-01 Plug-Type Valves, 63-03 Sanitary Fittings and 65-01 Sight and/or Light Windows and Sight Indicators in Contact with Product. 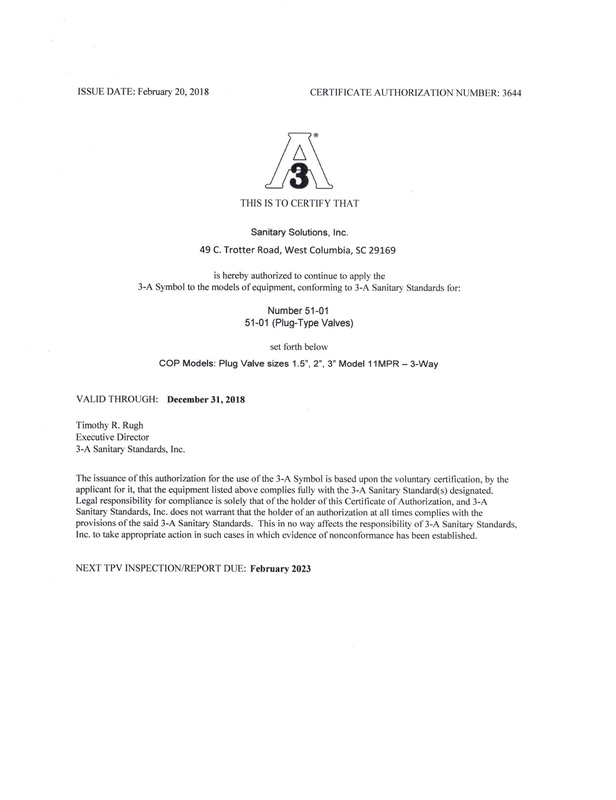 3-A SSI is an independent, not-for-profit corporation dedicated to advancing hygienic equipment design for the food, beverage, and pharmaceutical industries. 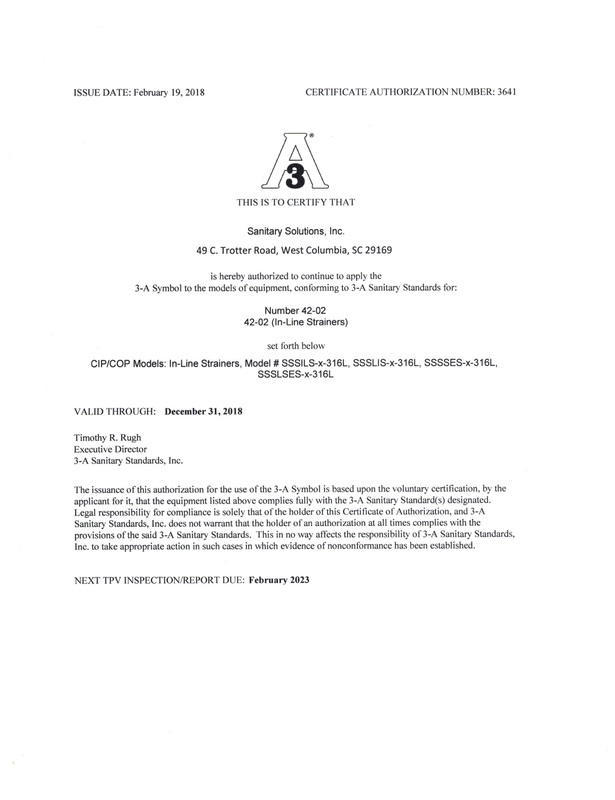 We represent the interests of three stakeholder groups with a common commitment to promoting food safety and the public health — regulatory sanitarians, equipment fabricators and processors.